He only cares about looking good to himself for the next five minutes – WASHINGTON (Reuters) – Forty-five U.S. trade associations representing some of the largest companies in the country are urging President Donald Trump not to impose tariffs on China, warning it would be “particularly harmful” to the U.S. economy and consumers. Jewish anti-occupation activist Olivia Zemor faces a lawsuit from a pro-Israel group after calling for celebrities to boycott Israel. Here’s why I’m going to France to testify on her behalf. This week I am traveling to Paris to serve as an expert witness in court. In an unprecedented move, the French government has allied with a right-wing, pro-Israeli group to file a SLAPP lawsuit against the nonviolent struggle for justice in Palestine, and specifically against Olivia Zemor, a Jewish activist from the left-wing NGO Europalestine. The story began seven years ago when French activist and chairwoman of Europalestine, Olivia Zemor, called on French singer Vanessa Paradis and actor Johnny Depp not to perform in Israel. Now, a pro-Israel right-wing lobby is trying to censor, intimidate, and silence Ms. Zemor by burdening her with the cost of a legal defense, until her group abandons its call for justice for Palestine. The prosecution accuses Zemor of hate speech and racism. The most absurd part is that Zemor herself is of Jewish origins. I am going to testify as an Israeli Jew, and as an advisory board member of Jewish Voice for Peace, for two reasons. The first and most obvious one is to defend the basic right of the Palestinian people to nonviolent struggle against Israel’s apartheid, occupation, and illegal settlement project. The second reason is the necessity of making a tikkun (repair) from within the depths of Jewish culture itself. I am going to France to fight the frightening and bizarre new wave of anti-Semitism in Europe — an anti-Semitism that is depriving diaspora Jews of their right to struggle against the apartheid practices of the Israeli state. I am going to defend the idea that Jews can have diverse, independent points of view. Seventy-four years after the fall of the Vichy regime, the French government is choosing to declare war on the right of Jews to live out their faith, the right to believe that to be Jewish is to be human — in the spirit of Primo Levi’s writings — not in the colonialist spirit of the State of Israel in 2018. I am traveling to Paris to make a last stand for my right to be the decent Jew I learned to be in my mother and grandmother’s home. Will Israel succeed — as other oppressive regimes have— in silencing opposition in the diaspora? Is Israel functioning as a kind of colonialism-by-proxy on behalf of Europe and America? These questions might be answered by the verdict in Paris, yet even acquitting Zemor will not be enough. The court must exact a heavy fine on those who are manipulating the justice system into a tool that is anti-Jewish, anti-Palestinian, anti-French, and anti-human. Following the Holocaust, it was natural for Jews around the world to be the at the forefront of human and civil rights struggles, standing side by side with Martin Luther King Jr., Nelson Mandela, and others. The Jewish people gave birth to some of the greatest humanist thinkers of the 20th century, such as Primo Levi, Martin Buber, Hannah Arendt, and even my mother, Member of Knesset Shulamit Aloni, to name a few. Unfortunately, the Israeli state has chosen the opposite of the humanist Jewish spirit; instead of adopting the spirit of the prophets, it has adopted the spirit of the occupation. The Bible says: “love the other; for you were others in the land of Egypt.” As a Jew, I will maintain my particularity and identity only in relation to this mitzvah (deed), and only in full realization of the values of liberté, égalité, et fraternité. Because we were all made in God’s image. My love for Palestine and my love for Israel are one and the same. As long as one people is not free, the other does not deserve liberty. I am part of a minority among the Jewish people, as the resistance was a minority of French citizens at the time of Vichy rule. We are the resistance among the Jewish people, and we are fighting for our future and for the future of Jewish morality. The French government should not only respect our right to do so, it also has the obligation to help us in our task — not just for Palestinians, not just for Israeli Jews, but for all humans. Udi Aloni is an Israeli American filmmaker, writer, artist and activist whose works focus on the interrelationships between art, theory, and action. His last film Junction 48 won the Tribeca film festival and the Berlinale Audience award among many others. His book What Does a Jew Want? was published In Columbia University Press. Hittites on the move again with second genocide and no one is saying boo. 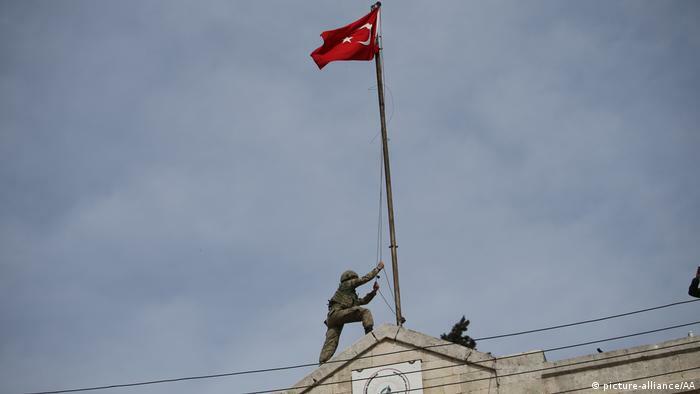 Syrian rebels have taken control of the town of Afrin, the Turkish president said. But a Kurdish official has denied that YPG fighters fled, saying Kurdish forces are still engaged in clashes over the strategic town. RIP victims of disaster that should not have happened. A meeting between officials just hours before a pedestrian bridge collapsed killing six people concluded a crack in the structure was not a safety concern. Yevgeny Chichvarkin, a former mobile phone tycoon, has lived in the UK for almost a decade, after fleeing Russia in 2009, and has become an active anti-Putin campaigner. He had never considered hiring private security guards, but the opening of a murder investigation into the death of fellow exiled Russian businessman Nikolai Glushkov has prompted him to reassess how much danger he might be facing. “We’ve been discussing it. If you do it, you have to have it 24/7, for everyone. It costs really big money to do it properly,” Chichvarkin said. “For the moment we haven’t decided.” He knew Glushkov a little and was shaken by his death. He assumes he will be on the list of Russian exiles the Metropolitan police are beginning to contact to talk to about security, but has yet to hear from anyone. A closer look at the $375bn that is China’s trade surplus with the United States reveals an awkward fact: more than half of it is due to American corporations (with Apple being one of many) that export US-branded goods from China into America, while channelling their profits through a network of tax havens. via aleksey godin – thanks A new book argues that modern wars will be won with phones and laptops rather than tanks.